This bail bonds glossary of terms was put together to help those who may not understand some of the legal jargon and terms of their bail bonds application or indemnitor application. If you are not familiar with or are new to the surety bail industry, much of the terminology and everyday language will sound foreign to you. The following terms, definitions and industry information may be of help to you. Of course, if you need further explanation, feel free to contact a local bondsman near you. Temporary Bail Bond Agent: A person operating under a temporary license, under the supervision of a duly licensed and appointed bondsperson, managing general agent or authorized insurer. 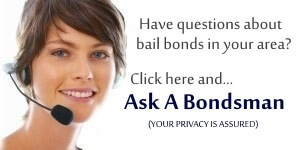 Please check with your state to determine if working with a temporary bail bondsman is allowed.